And we do. Lots of them. When we’re not aawww poor babying, all we’re doing is smiling at our boys during this episode. Stephanie: This episode is called Just Give Me A Smile, but I think it could have easily been called either of the other titles, I’ll do it all (because they do) or You Already Know the Answer (as, since this is the future, we actually do know answers to many of the questions they’re asking…and yet, they still manage to surprise us. Cherry? Cherry: Yes, on the surprises. I hadn’t heard the whole story of Jungkook in Chile and thought we were done last time, but seeing him tonight, getting oxygen and being treated by the medical team made me understand even more just why the guys were so shaken when they talked about it later. Stephanie: Yes, it seems that, just when we think we know the whole story, they give us a little bit more to take what we thought we knew and see it from a different angle. I was so concerned when we saw just how serious JK’s illness was. I was concerned to see just how concerned everyone else was. It was actually interesting though to hear Namjoon talk about what we discussed last week, the need for him to take care of himself vs worrying about the job they have to do. I didn’t realize JK was their lead vocalist. 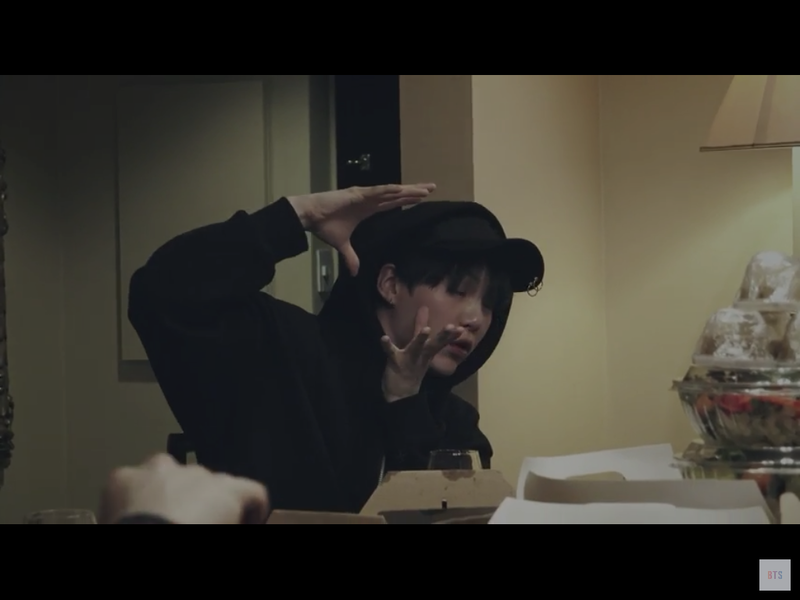 Cherry: Keeping on with the surprises, when Yoongi was telling his story about the car accident, I knew it was the one he’d been referring to on his mixtape. What I didn’t realize is that this was the first time they other guys were hearing about it, too. Wow, to go through that and not tell anyone because he was afraid he’d be dropped as a trainee? Makes me simultaneously sad for him and proud that he made it. Stephanie: Right? There was so much going on in that section. Us hearing the full story that we’ve never heard before and the idea that not only had the guys not heard it before, but he’d actively told them something different all this time. 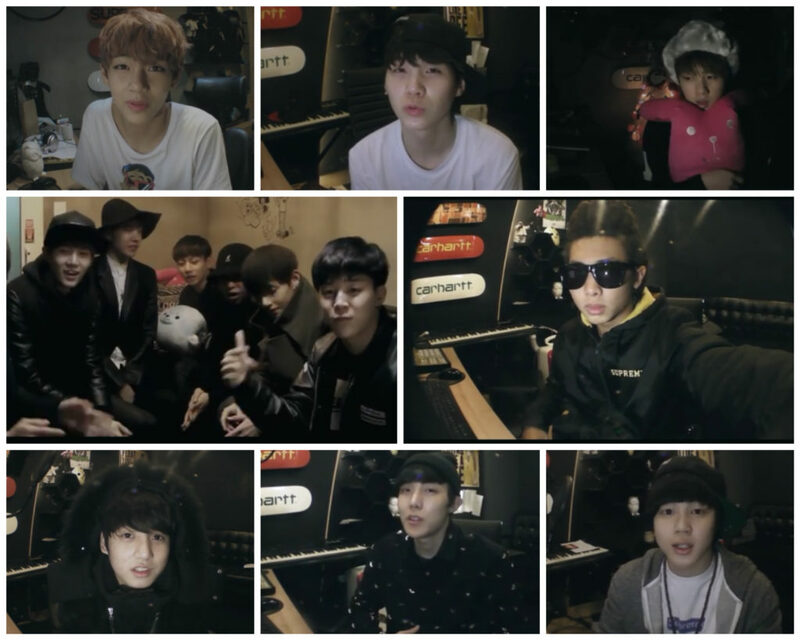 You think that they just signed onto BTS from all these different walks of life, but they were still all trainees, to begin with. 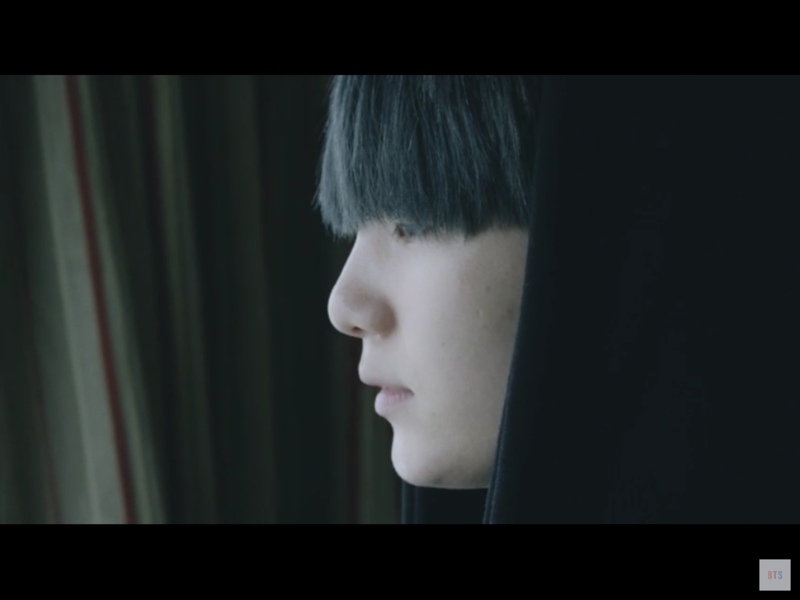 Especially with Yoongi, he had to make serious choices and work really hard just to get to where he wanted to be. (Working extra jobs on the side, not even telling the management he’d seriously injured himself.) There was also the revelation (to us) that Hoseok had almost left the band before they began. Could you imagine what the group would be like without Hoseok? Without any one of those members? Cherry: Yeah, I don’t think it would be the same band without even one of the members. If you pulled any one of them out, it’d have changed the dynamic completely. Not saying they wouldn’t be successful, but they wouldn’t be the BTS we’ve come to know and love. Hey, I think I’ve read a fanfic about this: Taehyung thinks he’s unnecessary to the band and ends up changing places in a parallel universe with a Taehyung that never joined BTS, and in that world, Jungkook never relaxed with the other guys and was the first to move out separately. And we just learned in this episode that Taehyung was the one that helped Jungkook feel comfortable with all the guys. See? Fanfic knows all! Stephanie: I loved the part where Jungkook admitted he feels like he stopped growing up at 15. When he became a trainee, he gave everything else up. They made a big deal of showing pictures of him starting and then graduating high school, but it makes you wonder just how much schooling these trainees actually get in. Him admitting he missed home but he had his bandmates to take care of him. They really did raise him and I like seeing him acknowledge that. Also, did BigHit really pay for Yoongi to go to college? Is he in college right now? Cherry: I don’t know, is he? Does anyone out there know? And his college story just made me realize how much he keeps to himself and probably stresses himself out trying to solve himself because he doesn’t expect to count on anyone else to do it. 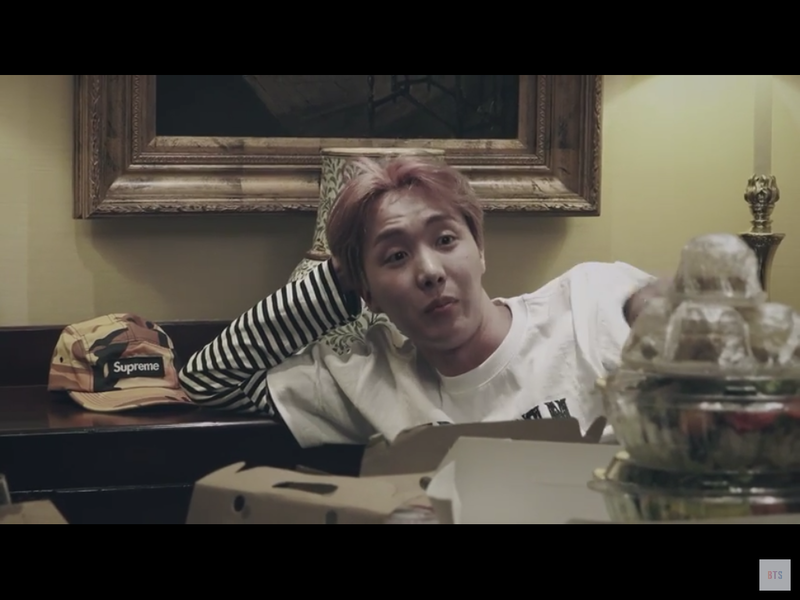 And, yeah, that’s what I got as well, that BigHit is paying for his college. Makes me like them even more. Stephanie: I want to say it feels like they know how important his education is, how making sure he knows as much about the business, music as possible, it can only help BTS, Suga, AgustD, or Min Yoongi—but if this were really the case— Jungkook wouldn’t think his education ended at 15. Yes, even here I feel that Yoongi keeps to himself more. We got the story of him pre-debut (I loved that scene, guys/friends just hanging around chatting about their pasts, reminiscing about what they themselves knew or thought they knew about each other) but within the episodes, he definitely seems to be on the edges. I’m not sure if it’s because he’s not comfortable around the cameras or if that’s just how he is. Since it doesn’t seem weird to the group, I’m going to go with that’s just how he is. Cherry: And they let him just be himself, because they’re all awesome. And moving on, I loved seeing each of them setting up their workstations in Brazil. First of all, I love the idea of a hotel that has a dedicated office area. I’ve never seen that before, but I’m not that widely traveled, so maybe they’re more common than I think. But seeing them all, kinda side-by-side, putting their stuff together was really interesting, and you could see their personalities coming through. I’m trying to decide how much of Namjoon’s was being played up for laughs and how much was just the way he works? Stephanie: Poor Namjoon. I wonder, do they usually set it up themselves or do workers usually do it and that’s why he’s so perplexed? 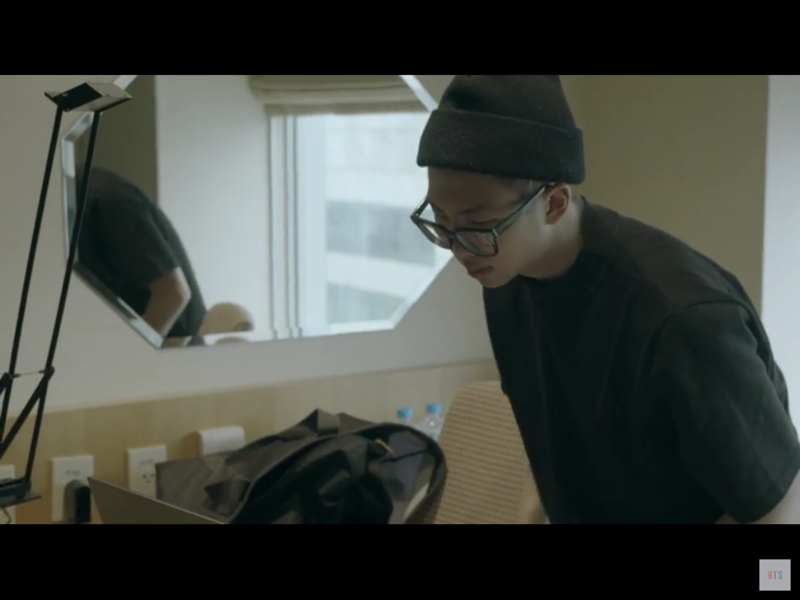 But thinking back to Namjoon of the constantly lost passport, something tells me he’s just that clueless on the practical stuff. Cherry: I’m betting they usually set that stuff up themselves. I know they have staff to do a lot of stuff for them, but I feel like once they’re in their rooms, it’s their own, more private, world. That’s what we’ve seen in the Bangtan Bombs, in the past, too. Stephanie: This episode we got to see more of what their lives are like during their downtime. Them working on their music (Hoseok working on his mixtape — awww), Jin wanting to learn Japanese but not, he and Jimin sharing books to read, JK and his video games, and their workouts. They are on tour but it’s not like they can ever really leave the hotels. They are on tour but it’s not a vacation, they still have to get stuff done. It’s an interesting mix of GO GO GO and wait, wait, wait. Cherry: Yep, when we first saw them setting their stuff up, I was thinking how tired I’d be setting it up and then taking it down, only to set it up again in the next city, but they travel so much that if they didn’t do that, when would they be able to get the work done? Gives me a new appreciation for their work ethic. And even the ones that weren’t working had their own projects to improve themselves. Well, until I see Jungkook playing video games, then I realize we have more in common than I thought. Go Jungkook! Stephanie: LAUGH. True. However, he’s also apparently trying to teach himself the drums, so… there’s that. It’s interesting to see those with active side projects and those who are killing time a bit. I was laughing at Kookie but then I remembered soon, he’s going to create Golden Closet… whatnots and start making a name for himself with his photography, film editing, and music covers. Cherry: Right? I don’t think he has anything to worry about there. And I’m betting that at one time or another, they all have their own projects they obsess over. Just because they’re not producing doesn’t mean they’re not working on themselves. And everybody refills the creativity well in their own way. Stephanie: You know what I really loved about the episode? 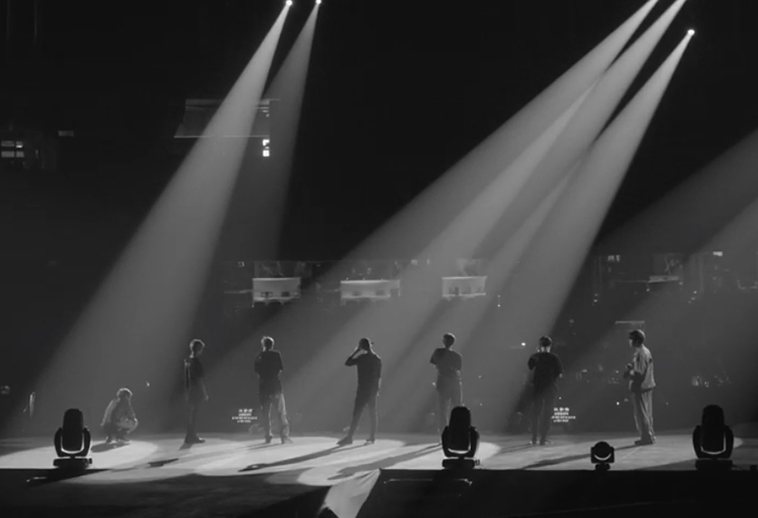 Looking at how far they’ve come, these sold-out world tours, all busily working on their own projects, juxtaposed with the stories we had of them in the past, and the videos of the BABIES they were when they first started. Seriously. BABIES. Though, when you realize it, they are still young, they have come so far in their careers already. Cherry: Oh, I wonder what past them would think of present them, if they could have seen them. Wait, did I say that right? I think I did. Anyway, seeing the old videos from their debut year got me to thinking about that. Not only how their skills increased since then, but how they’ve changed as people, inside. I like to think they’d be amazed and proud of their future selves. Stephanie: Awwww…. Me too! My present self is very excited for my future self to watch episode 4! Cherry: Yay! Me, too!!! See you all then!